Mark Knight is a man on a mission. The Toolroom Records founder brings his signature chunky beats and addictive grooves to Miami wherever he plays, moving floors and filling rooms, be it at Ultra or Space. Tonight, he’s in town to tell a new story. On an unusually humid October evening in South Beach, the veteran readies himself to drive the decks at STORY Miami, a club he has yet to grace. He’s here to headline the venue’s Underground STORY night, a signature party brought to the Beach’s southernmost superclub each Saturday by an impressive local group called LINK Miami Rebels, who supply the city’s house and techno addicts with quality music every week, year round. The conversation quickly turns to the matter of “commercial versus underground.” It’s a fitting subject given the title of the night’s party, as we sit in the basement of a club that features a wide spectrum of the biggest acts in the business. Monikers inked on the wall behind us range from Skrillex and Chuckie to Marco Carola and Maya Jane Coles. 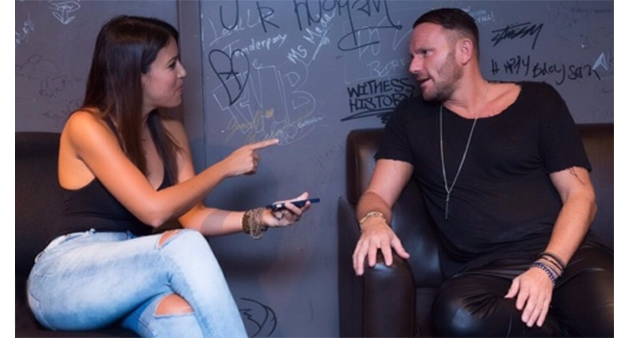 But as it turns out, what inspires the topic is actually Mark Knight’s personal view on the issue — and it’s directly connected to what he so passionately desires for Toolroom. Wise words from a man who is as much a talented a musician as he a shrewd businessman. For Mark’s label, this year has been all about finding, defining and solidifying its identity. To his point: remaining as credible as possible. Mark points to the widening gap between dance music’s commercial side and its underground, suggesting that the underground, whatever one might perceive it to encompass, continues to fracture itself, becoming less and less connected. In 2015, he sought to unite the niche in which he and Toolroom sit. Mark purposely kept his biggest releases off of his own imprint this year, wanting to give label artists like Prok & Fitch and Weiss the opportunity to shine. Indeed, Toolroom seems to have found its groove with a more defined identity and a new, solid corps of in-demand artists. But here in Miami, a city that straddles extremes, it can be hard to work a room. Even for a master of the night, like Knight. The audience at Underground STORY is not easy on their DJs, and that tends to make for stronger performances. It’s an unpredictable dancefloor comprised of as many aficionados as it is transient tourists who are unsure of what tech house might actually be. Tonight the crowd is already pulsing, thanks to a brilliant two hour back-to-back opening set by Link Miami Rebels resident DJs, Ms Mada and Ricardo. The two have whipped the floor into a froth primed for the main act. Swirling lights sweep across giant flower installations that hang from the high ceiling like chandeliers. Dancers garbed in glittered fantasy costumes gyrate on podiums and stalk through the shadows. It’s as if Alice In Wonderland has fallen down a cooler rabbit hole and come tumbling out into South Beach. A roar erupts as Mark Knight steps up to the plate. He works the room expertly for nearly four hours. To our delight, he plays hard, dark and loud, with the occasional, recognizable vocal anthem mixed into the heaviness. Mark gestures excitedly, beckoning us to move closer midway through his set. He nods at the CDJ’s backlit display to point out an upcoming track with Toolroom mainstay Adrian Hour featuring Indiana on vocals, called ‘Dance On My Heart’. Our hearts swoon indeed; the record is moody and haunting with a deep tech vibe. It's the best thing we’ve heard from Mark in 2015 (it drops Nov 6th). 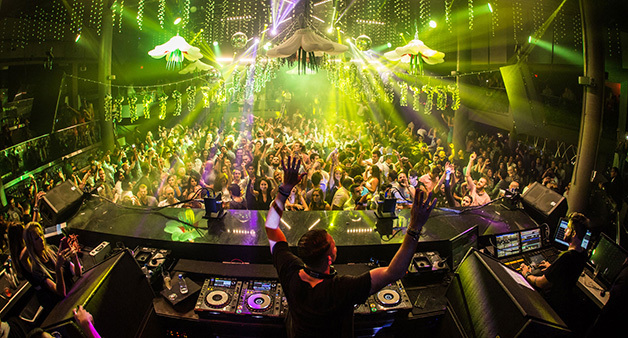 We turn to the nearest spectator and proclaim that it feels as if we’re back at Amnesia Terrace in Ibiza. In that moment, the room is transported to a place far from Miami. We heard your story, Mark Knight. And we loved it.